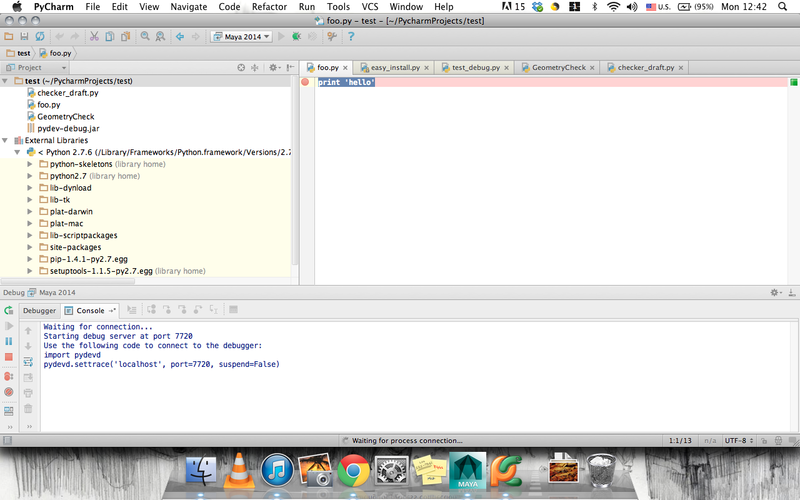 I have pycharm 3.0 professional and using a mac. I am trying to send a python script from pycharm to maya via a local server. I looked at a lot of instructions, and they say I have to copy pycharm-debug.egg into the python path. But I can't seem to find that file, is it embedded somewhere else on macs? Also, when I try to debug it anyways, (and also opened up did the command port in maya), it just stays saying 'waiting for connection' is there a set i'm missing? thanks a lot for any help. These are probably all really nube questions.